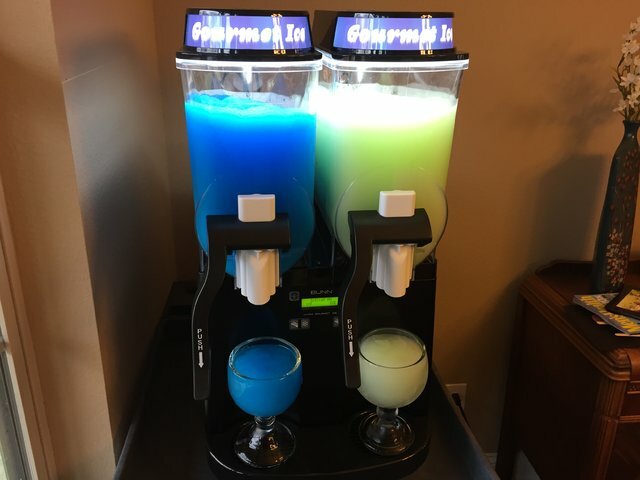 Our Margarita Machines are a hit for any party! For adult parties, you can make margaritas, pina coladas, or strawberry daiquiris! For kids, we have a great selection of sno cone syrup that can be made to make awesome slushies! This dual bowl machine will allow you to even make one of each to satisfy everyone's needs! This rental includes the Frozen Drink Machine and Cart. The syrup that is used to make the drinks is sold separately in kits. The kits can be purchased in the Concessions Category.